Finally figures of the Batman Unlimited series from Mattel is starting to hit shelves just time before the video releases this Friday (10/25/2013). 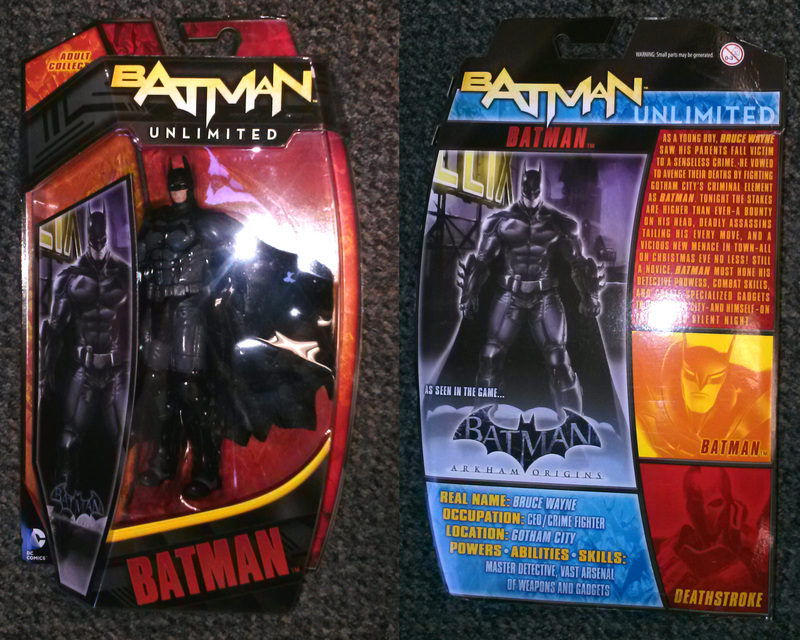 The Arkham origins Batman comes in the same style packaging as previous figures. The figure is an amazing sculpt. The armor is well done. 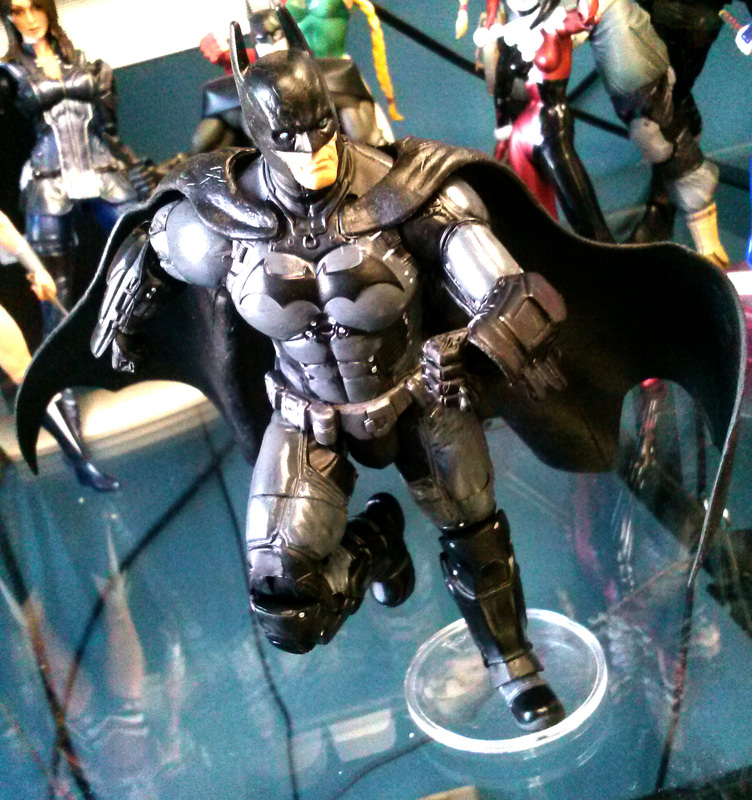 His cape is nice and wide, perfect for action poses. Taking a closer look, his head sculpt is very good. Batman hasn’t shaved in a bit if you look close enough. 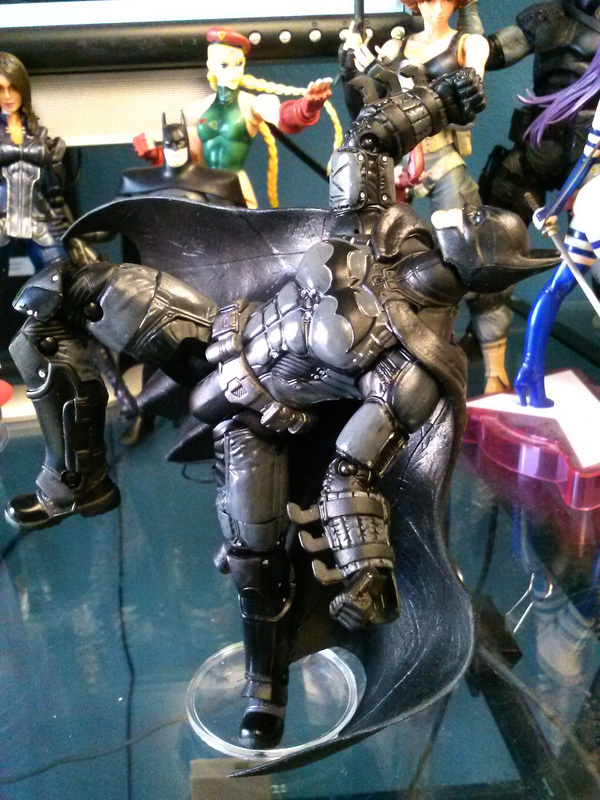 His pose-ability isn’t that great. Nice bicep swivel, not enough elbow bending range, no ab crunch , and lack of ankle rocking hurt this figure.